If you are looking for information on the Barnies Coffee and Tea Company franchise business opportunity, Barnies Coffee and Tea franchises or Barnies Tea and Coffee franchising, then you have come to the right place. 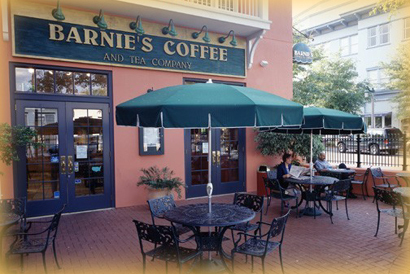 Barnie's Gourmet Coffee & Tea Company was founded over 2 decades ago and has grown into America's largest privately owned gourmet coffee and tea purveyor. The company's passion for quality and service has established Barnie's Coffee as the premium brand of gourmet coffee throughout the world. Barnie's Coffee offers the world's finest hand selected gourmet coffee beans with an extensive selection of gourmet coffee blends, flavored and decaffeinated in light, medium and dark roasts to satisfy every discriminating taste bud. Barnie's Coffee is committed to providing a superior product and outstanding customer service. Shop online, by phone or visit one of our stores located worldwide. Barnie's Coffee & Tea Company is a concept with a 24-year history of operations, a loyal and passionate customer base, and a proven track record. Yet the concept is as fresh, dynamic and exciting as if it were brand new. We've recently decided to add to our existing base of franchisees, some of whom have been in operation for nearly 20 years, and we are now offering opportunities for franchises worldwide. Whether in the US or in one of the many exciting markets outside the US, our program has been designed to leverage the infrastructure that comes with multi-unit development or capitalizes on your single-unit commitment.